Photographer Elena Gissi came across an amazing sight during a trek through the Italian Alps – a large area of snow covered with a layer of sharp crystals, shaped like wedges or feathers. Although a regular folks would classify this phenomenon as an unusual type of snow, there is actually a specific term for this kind of frost. It’s known as hoar frost or surface hoar. 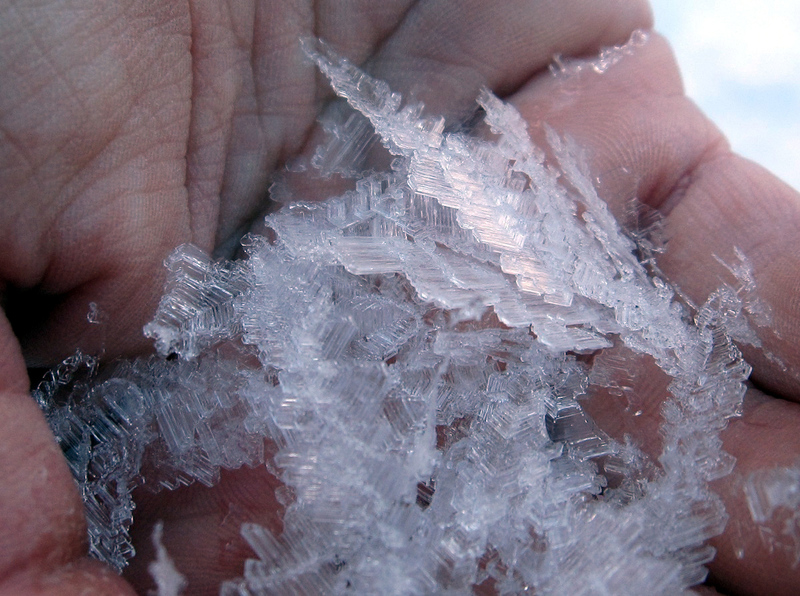 When you have to scrape your windshield in the morning, surface hoar grows on the surface of snow—hence its name. It can form quickly during clear, humid and calm conditions and once buried, it is a particularly thin, fragile and persistent weak layer in the snowpack, which accounts for a number of avalanche deaths. 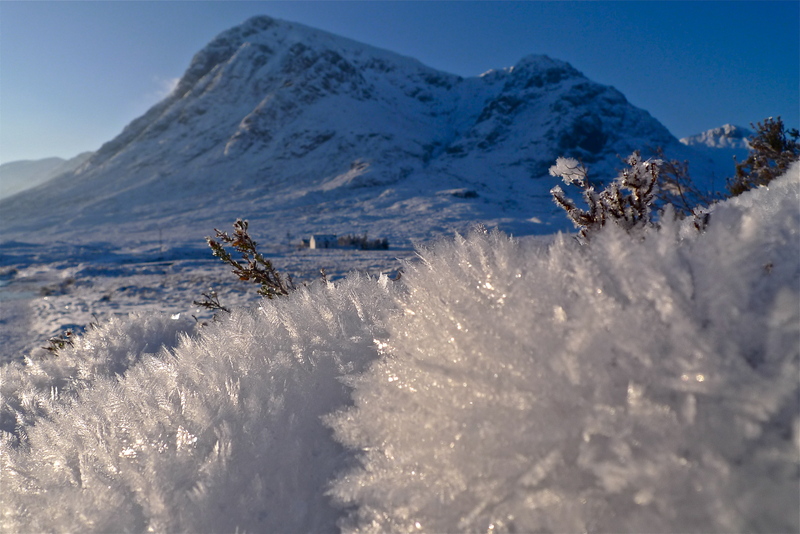 Surface hoar builds a thin, fragile and disrupting layer between the snow mass underneath and any snow that falls upon it, leading to conditions that promote avalanches. 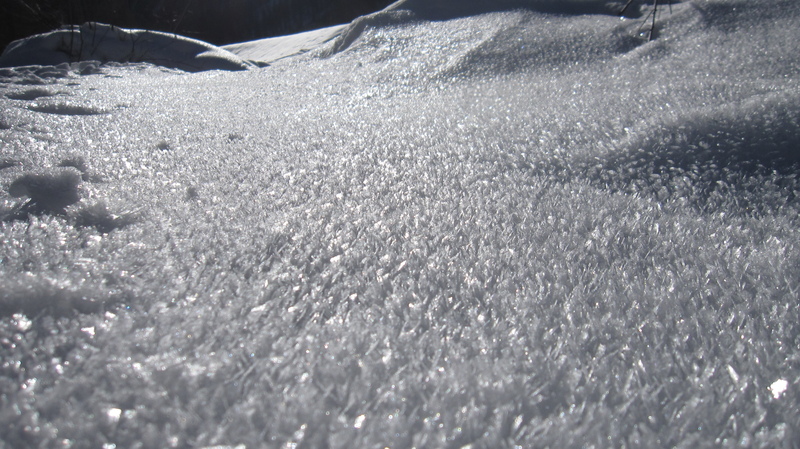 Here is an image of surface hoar from Aspen, Colorado.